You can go to the Big Apple without trying a slice of its famous pizza. There’s a pizza shop on almost every corner so no matter where you are in this crazy city, you’ll more than likely be able to come across a piece of pizza. 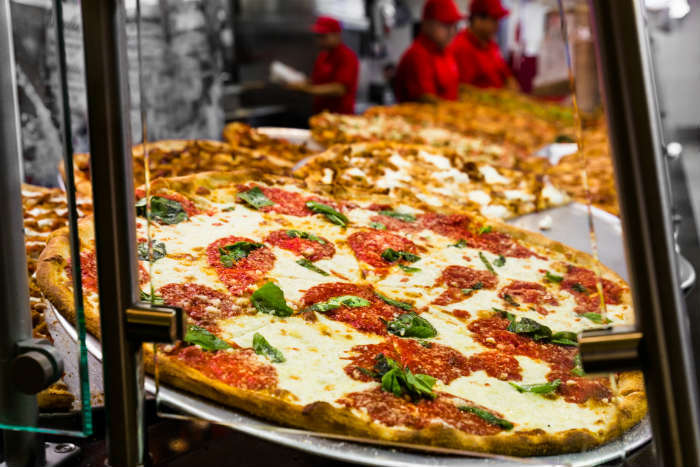 From the little street stalls dotted around New York to the restaurants where you might have to queue for an hour or two, what is certain is that any pizza you have in New York will be unforgettable. Pizza slices are also one of cheapest lunch options available - they're so large that one slice is likely to fill you up and costs just a few dollars. Slices are often bought from takeaway outlets to eat on the go - the trick is to fold it in half lengthways to stop all the toppings falling off! Here, in Naples, you’ll find pizza that is only cooked in wood burning brick ovens, the dough for the pizza is light and fluffy, like a cloud of air. 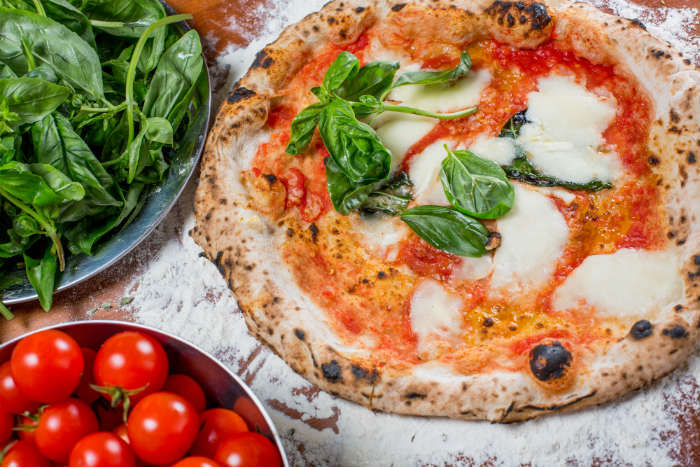 The base of these pizzas is also quite soft so if you don’t like the crispy variety, Naples is the place for you and you can have your slice of dough served Neapolitan style. 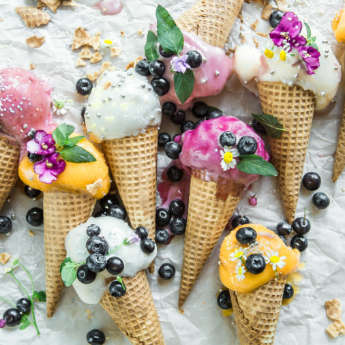 No, not like the tri-colour ice cream, but traditional mozzarella cheese and San Marzano tomatoes usually with no other toppings. Sometimes, the simple way is the best way. The defining characteristic of a Neapolitan pizza is that there is always much more sauce than cheese which can make the pizza quite soggy and hard to pick up. For this reason Naples pizza is not usually served by the slice, but as a small whole pizza. Remember when ordering in Naples that a whole pizza is likely to be 'personal' sized to serve just one person. 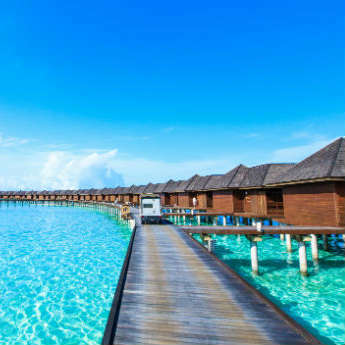 It might be known as the home of the deep dish pizza, and you can get a pretty mean slice in the windy city, but that’s not the only kind of pizza you can get here. 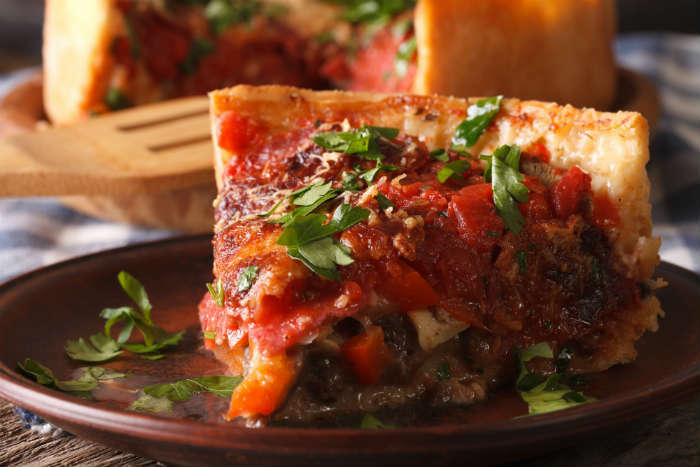 While in the UK we're mainly used to deep dish pizzas just having more generous helpings of topping on a thicker base, in Chicago they go several steps further! Stuffed pizza is also a favourite here - a pizza that’s deeper than a deep dish and more like a pie, with the toppings layered on top of each other. Generally mozzarella cheese goes on the base to avoid it burning during the longer cooking time, with the meat and/or vegetable 'toppings' in the middle, and a thick sauce made from squashed canned tomatoes on top. This is a pizza experience that you probably won’t have had the joy of trying anywhere else. Where have you had the best pizza? Is it somewhere we need to add to this list? Let us know in the comments below!